BRIDGES is set to host its Bridge Builders 30th Anniversary and Alumni Awards celebration, honoring three exceptional alumni who remain intentional in actualizing diversity, leading boldly, and committing to serve Greater Memphis without pause. The celebration will take place on Saturday, November 3, from 6 to 9 p.m. at The Jim Boyd BRIDGES Center, located at 477 North Fifth Street in Uptown. 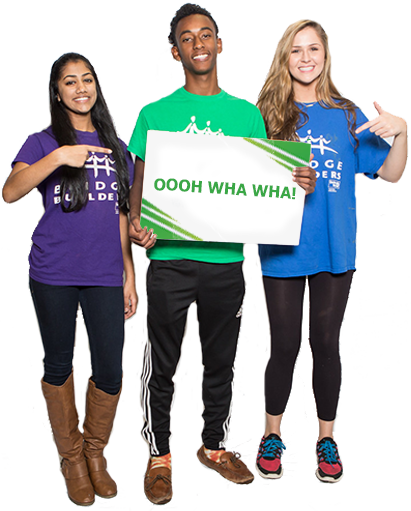 Since the initial class of Bridge Builders in 1988—comprising 40 youth from Northside and Briarcrest High Schools—20,000 alumni have pledged to lead by laying aside individual, social, economic, and cultural differences to work for the benefit of all. This year’s award honorees and mistress of ceremonies have demonstrated, through their work, the value of and need for diverse and equitable opportunities: honoree Kevin Dean, ’97, Chief Executive Officer at Momentum Nonprofit Partners; honoree Britney Thornton, ’07, Math Interventionist at STAR Academy Charter School & Founder of JUICE Orange Mound; honoree Jesseca McGhee, ’15, Youth Specialist at the City of Memphis Executive Division; and mistress of ceremonies Arienne Thompson Plourde, ’00, Lecturer, Georgetown University & Director of Public Relations, MoKi Media. Guests can expect to enjoy an evening indulging cuisine and cocktails from D. Arthur’s Catering with an opportunity to “get up, move, and engage” like Bridge Builders, led by the Team BRIDGES team-building staff. The evening will close with an after-social featuring alumnus DJ Artifacts. Tickets are $30 and can be purchased via bridgesusa.org/alumniawards.